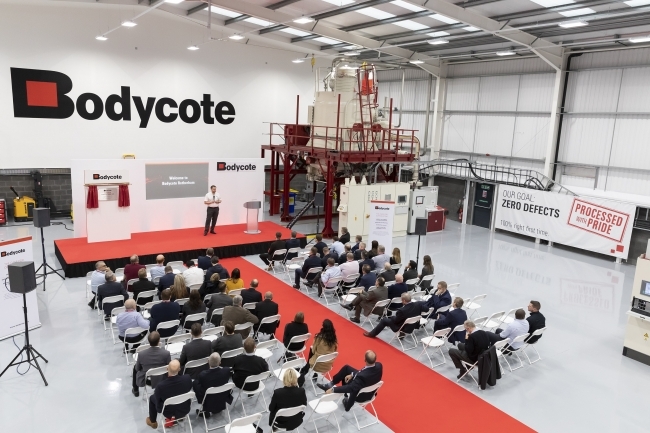 Bodycote, the world’s largest provider of heat treatments and specialist thermal processing services, has opened its brand new facility on the Advanced Manufacturing Park (AMP) in Rotherham, Yorkshire. The new advanced heat treatment centre, now fully operational and supporting customer requirements, has been established to support the aerospace and power generation markets in the UK and Europe. The Rotherham facility was officially opened by Andy Greasley, Executive Vice President of Rolls-Royce’s Turbines Supply Chain Unit, in recognition of the enduring partnership between Bodycote and Rolls-Royce.